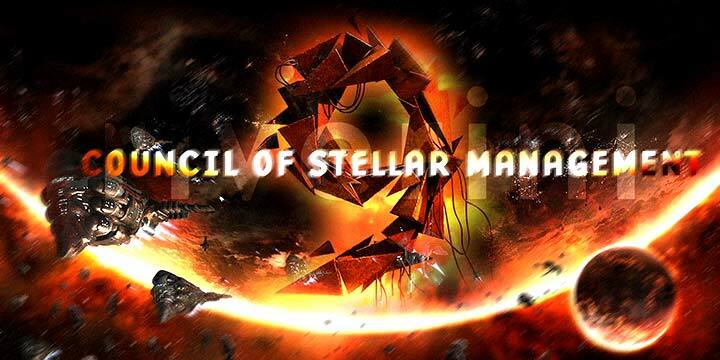 The time has come to elect a new Council of Stellar Management (CSM). "What is the CSM?" you might ask. It is a democratically elected player council that represents the community and acts as an advisory body to CCP, providing valuable feedback regarding changes and updates to EVE Online. You can read more about the CSM on CCP’s Community Page or on EVElopedia. The Council of Stellar Management elections are on the horizon, and we will be making some minor changes to the election process this year. We will be removing the pre-election that we used last year. The CSM and CCP determined that it wasn’t really meeting our expectations for performance and was putting excess strain on voters. We trust that our community will take the CSM, and therefore stepping up as a candidate, as seriously as we do. Being a member of the CSM takes a tremendous amount of work and commitment, and those entering the elections should understand the responsibility and expectations of the office. Additionally, after discussion with the CSM, we will be adding a new rule regarding the selection of officers. This year we will delay the selection of officers until the first CSM summit. We found that selecting officers immediately after the election meant that people were selected on their reputation instead of their actual contribution to the CSM process. This CSM white paper lists all these rules and more. In addition the changes to the election system, the candidacy period for the next Council of Stellar Management (CSM) election is now open. If you’re interested in running for a seat on the Council, please fill out the form here and be sure to read and follow all instructions. Also, please be sure that all your account ownership information is up to date. An application will result in an audit of the accounts belonging to the applicant and a general background check. In cases where EULA violations have occurred, the application will be assessed on the basis of the severity of the violation and the length of time since the violation occurred. More information on candidate eligibility can be found in the CSM white paper. CCP reserves the right to deny any candidate for extra-ordinary reasons, and will publish our reasoning at the request of any applicant who was denied candidacy. Candidates will receive notification by email when their applications are approved. On 3 April we will post a full list of the candidates for the ballot, and provide more detailed information about voting in the full election. Good luck to everyone running. We’re certain that this year's campaigning will make for an interesting election!